Outdoor gatherings made easy. 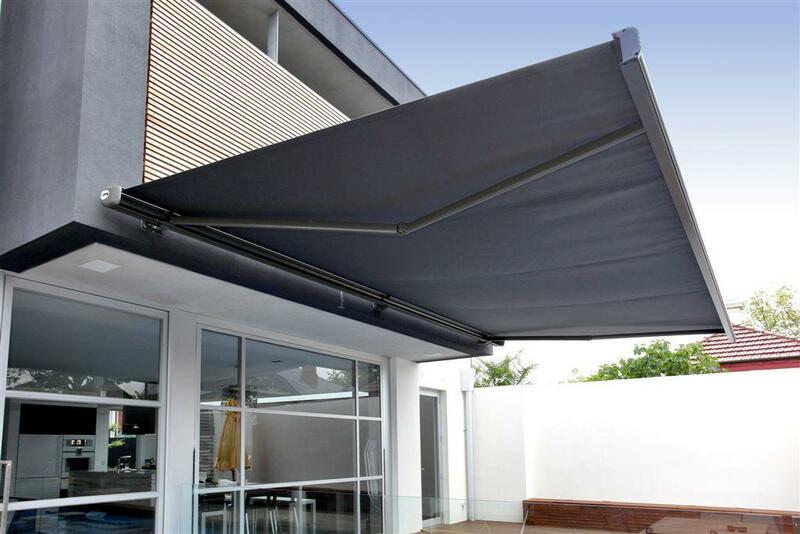 Awnings are a great way to keep your outdoor space dry and comfortable. Decks and patios are a great way to enjoy the outdoors, but sometimes they just get too hot to be comfortable. 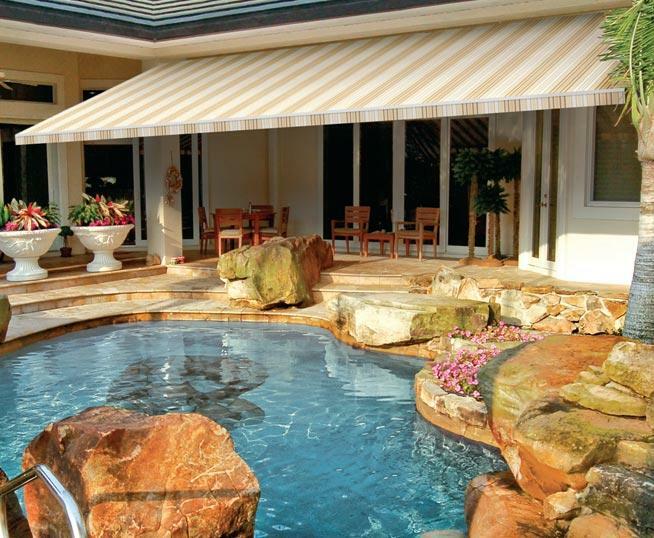 An awning allows you to get more use out of your outdoor living space. Here at Coastline Awning, we can install the perfect awning for all your needs. Whether you want to keep your patio cool, shade your windows, or protect your front door from rain, we have the awning to solve your needs. As an experienced home improvement contractor, we always provide the highest level of customer service. Call us at 1-844-707-7757 or click below to request your free estimate today! We install awnings on homes in Morristown, Township of Washington, Bridgewater and throughout New Jersey. The client was looking for an aesthetically pleasing solution to protect their front windows from the sun. The client was looking for rain protection for their food truck. We were able to provide a solution with a Sunesta awning with SmartTilt. The client was looking for protection from the elements for an outdoor seating group. We were able to accomplish the task with a Sunesta retractable awning. This golf course needed to some sun and rain protection at their clubhouse. 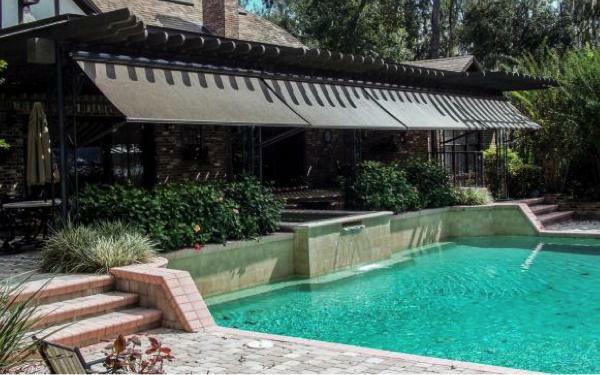 We were able to provide that to them with a 32' by 10' Sunesta roof-mounted retractable awning. Comfort and protection for any outdoor space. All of our awnings provide UV and sunlight protection, as well as impressive style to your patio, deck, or other outdoor areas! Plus we offer a wide variety of colors, fabrics, and styles to fit any aesthetic taste. There is no compromising when it comes to our awnings. Our awning specialists will help you choose the best awning to match your exact wants and needs. All of our acrylic fabrics are 100% solution-dyed to prevent fading or running. In addition to their long-lasting durability, all Sunesta fabrics are covered by a 10-year warranty. Unmatched functionality and aesthetic value. Upgrade the comfort, beauty, and appeal of your outdoor space. Our experienced professionals will work with you to find the perfect awning to fit your needs and match your home or business. There are no limits to how Sunesta retractable awnings and screens can help increase the functionality and beauty of your outdoor spaces. Please do not hesitate to ask any questions you have upon consultation. Contact us today for a free estimate on any awning service! We are your local awning contractor, serving Township of Washington, Morristown, Bridgewater and surrounding areas.